The rise of the Gothic form began in the mid 12th century. 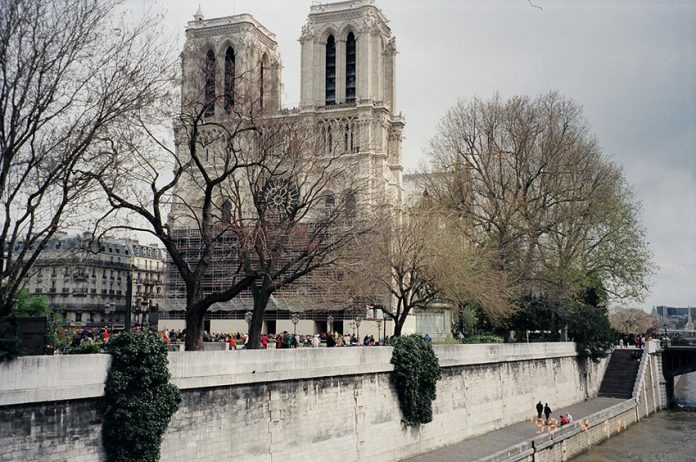 Gothic cathedrals, often taking decades to construct, began to appear in cities and towns throughout Europe, although French cathedrals like Amiens and Notre Dame in Paris are some of the finest and most spectacular of these great houses of worship. Gothic cathedrals served many purposes beyond their chief function as seats of local bishops and archbishops. Gothic cathedrals were the visual representation of God’s kingdom and, as such, provided spiritual education to the illiterate masses. They also functioned as the hub of town commerce and characterized civic pride. Gothic cathedrals are still used as active churches today, allowing Christians to worship and celebrate their faith amidst the supreme expression of Medieval piety. late Gothic (14th and 1st decades of 15th century throughout Europe). Gothic architecture or style (lat: Gothicus: belonging to Goths) was originally concealed by the name Giorgio Vasari who wanted to say that, from the point of view of the Italian Renaissance, that style was barbaric. During the Middle Ages, most Europeans were illiterate peasants. Their daily lives revolved around the Church, from when they arose in the morning until sunset. Life on earth was merely a brief sojourn in the overall working of God’s plan. This message was constantly reinforced by the sculptures, stained glass windows, relics, and other adornments found in Gothic cathedrals. Additionally, the cathedral as a total structure was a microcosm of God’s universal kingdom and the cosmology of Medieval theology. 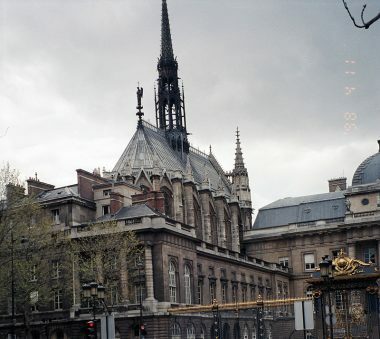 Dierick comments that the Gothic cathedral was an “image of light, strength and repose, symbolic of the faith of the Middle Ages.” In most cases, cathedrals were dedicated to “our lady,” the Virgin Mary depicted as both the Queen of Heaven as well as the most exalted of females, chosen to be the mother of Christ. Still today European cathedrals serve as market areas, their squares frequently filled with vendors. This is most evident in November and December when Christmas markets appear in many cities and towns under the shadows of cathedral spires. The cathedral was tied to town and city revenue in many ways during the Middle Ages. All great cathedrals displayed holy relics. Because pilgrimage was a key element of Medieval religious practices, churches that held important relics became key destinations, bringing in thousands of pilgrims that spent money in the town. In 1087, merchants from the Italian city of Bari forcibly stole the remains of St. Nicholas of Myra in Asia Minor. This action increased the popularity and prosperity of Bari. Cathedral chapters, charged with the cathedral revenues, often held financial stakes in local merchant enterprises. This was true at Amiens and Cologne as well as a number of other cathedral towns. The draw of Gothic cathedrals came from their immensity as well as their interior beauty, enhanced by the myriad of stained glass windows, an art that can be traced to St. Denis in Paris in 1146 and the brilliant planning and facilitation of the Abbot Suger. Beyond the spiritual education of peasants and towns folk, cathedrals, like Notre Dame de Paris, became associated with some of the earliest universities. Cathedral “schools” had been around as early as Charlemagne, who established a school run by English Benedictines at the Aachen Cathedral, Germany’s first cathedral. But in the High Middle Ages, early universities often began as an extension of cathedral ministries, such as the University at Paris. Gothic cathedrals played a significant role in the urban, social, and economic development of European towns and cities. They still stand today and function as active churches.